← Bauerwood Students Work their Minds + Bodies! When family and friends are thousands of miles and oceans away it seems difficult to imagine that a new, albeit temporary, home can be made but students from China, South Korea, Finland and Spain have done just that this past school year in our community. 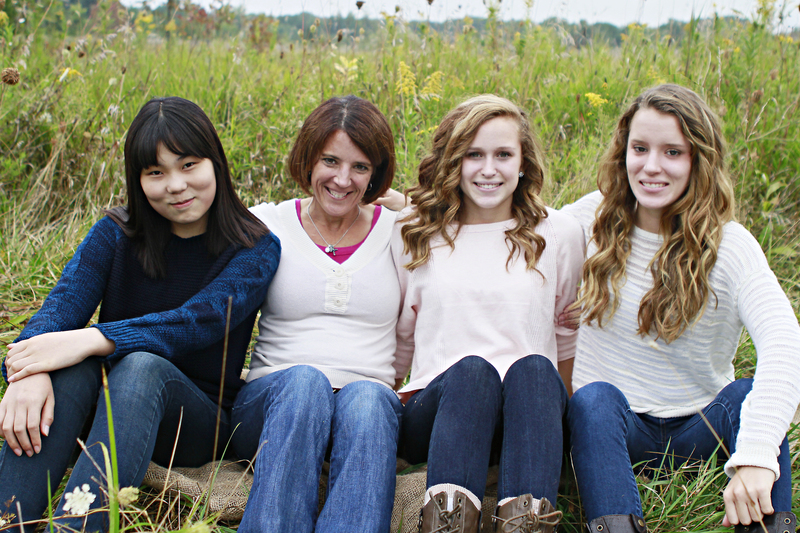 These students stay with Jenison Host Families and integrate into the life of Jenison High School. With open arms, amazing local families embrace these students, sharing with them the love and hospitality that is customary within our Jenison community. Once settled into home-life, a meeting takes place with one of the high school guidance counselors, Mr. Terry Dykstra. Based upon interests and academic goals, Mr. Dykstra guides students in building their daily course schedule. Prior to the first day of school, all are invited to attend an orientation of the building, learning how to navigate as well as meet other students. As the school year gets underway, international students experience the support each teacher extends to them individually. From academic assistance in a specific class, to the thoughtful care of asking another student to walk them to their next class, Jenison teachers are always putting students first. Additionally, the appreciation and awareness of other cultures in each classroom allows for a unique experience with international and Jenison students alike. 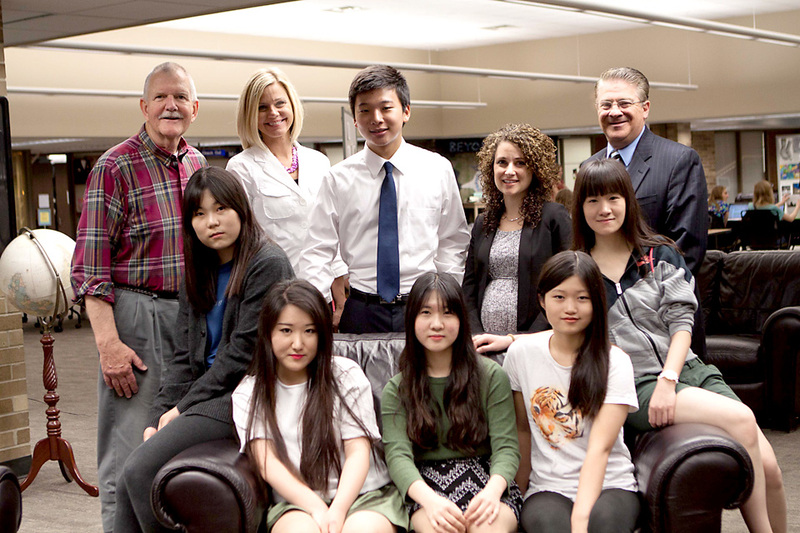 International students pictured with Terry Dykstra, Becky Redmer, Emily Kaminski + Tom TenBrink. Mary Wang is seated in front of Mr. TenBrink. 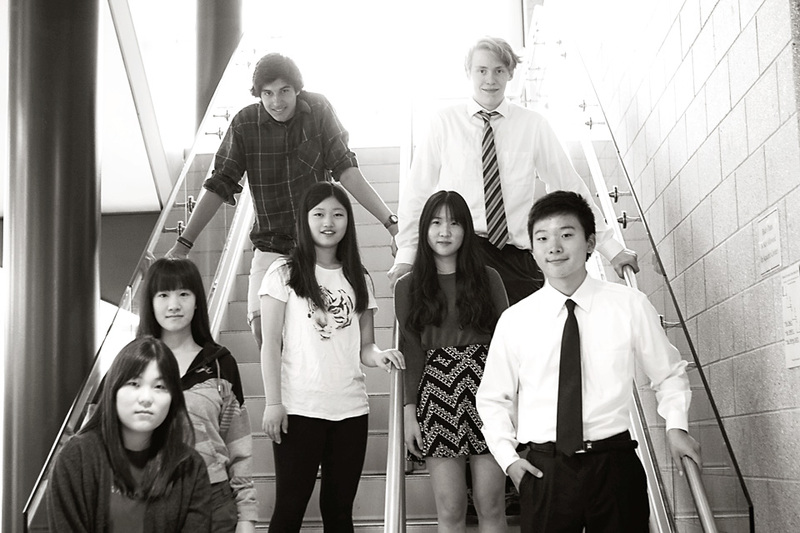 Some International students have the option to attend Jenison High School by applying independently with an agency, while others have the ability to come here by way of a direct partnership. As more international awareness of Jenison takes place, there has been a desire to partner with schools overseas, specifically in China. Over the past three years, these partnerships have matured and produced far reaching options for students. And while it isn’t always easy, sophomore student Mateo Blanco from Spain will tell you, “You have to grow, nobody can tell you, you have to live it to really understand it.” South Korean sophomore, Hayeong Choi says that she misses her family and the food of her home country but knows that she has matured a lot during her time here. We’re so glad these students have made Jenison their home this year and we hope they will take a little bit of us with them around the world! Hayeong Choi with her host family.